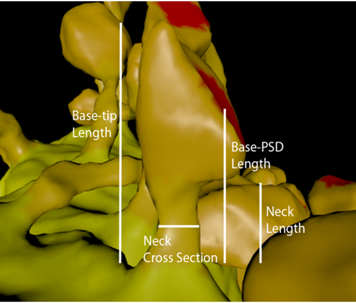 Left image shows a volume rendering of a 3D image of the abdominal region applied 2D transfer function. 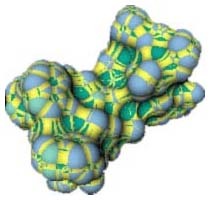 Angstrom studies multiresolution geometric data structures and computational mathematics algorithms that are essential for a wide range of molecular structure determination, energetics, interactions, and simulations. NeuroModeling Understanding the fundamental relationship between neuron structure and function has long been an important goal in neuroscience. At all scales of analysis, the roles that geometric shapes and spatial interrelationships play in determining the functional abilities and constraints on brain activity are of paramount consideration. Bio-Med studies computational modeling, simulation and visualization in the life sciences. 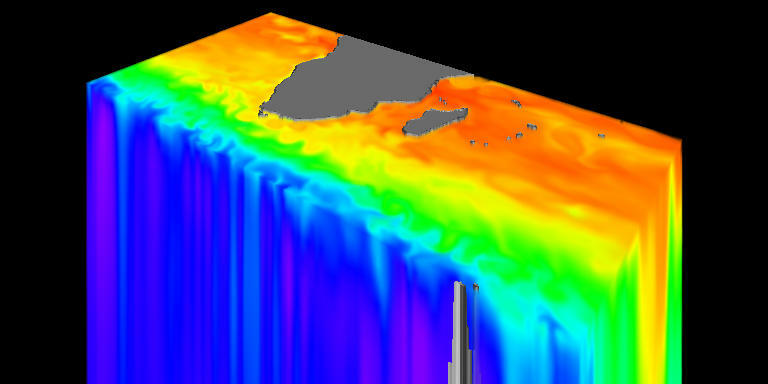 X-Tierra studies computational modeling, simulation and visualization of computational earth sciences.